Who Must Comply With The Do Not Call Law? What If My Company Already Has an Established Relationship With a Customer? How Can My Company Comply With the Do Not Call Law? How Often Must My Company Update Its Do Not Call Lists? What Kind of Fines Can My Company Expect if it Breaks The Do Not Call Law? What If My Company Accidentally Calls Someone On The Do Not Call List? On June 27, 2003 the U.S. Federal Trade Commission opened the National Do Not Call Registry in order to comply with the Do Not Call Implementation Act. The Do Not Call Registry is a list of phone numbers from consumers who have indicated their preference to limit the telemarketing calls they receive. The goal of the act is to give consumers a choice about whether they want to receive most telemarketing calls. It is now illegal for most for-profit businesses to call a phone number listed on the Do Not Call Registry. 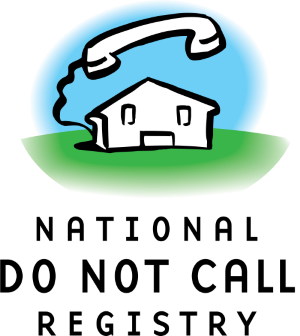 The National Do Not Call Registry applies to any plan, program, or campaign to sell goods or services through interstate phone calls. This includes telemarketers who solicit consumers, often on behalf of third party sellers. It also includes sellers who provide, offer to provide, or arrange to provide goods or services to consumers in exchange for payment. In other words, if you are not calling on behalf of a political organization, charity, or surveyor, you must comply with the Do Not Call Registry. If there is an established relationship, your company can call for up to 18 months after the consumer's last purchase, payment, or delivery, even if the customer is on the Do Not Call List. Your company may call for up to three months after the customer makes an inquiry to your company. If the customer submits written permission, your company may call the customer, even if the customer is on the Do Not Call List. If a customer asks that your company not call, then your company may not call, regardless of whether or not the previous three rules apply. The simple answer is to follow the four rules listed in What If My Company Already Has an Established Relationship With a Customer? To do this, you'll need access to the Do Not Call List. You can get access to the list by visiting https://telemarketing.donotcall.gov/. Once registered, your company can download Do Not Call Lists. Currently, up to five area code lists can be obtained for free. Once you have the area code lists that your company needs, you'll need to manage them. The best approach to Do Not Call List management is to use a software package designed to do this. Our package, Do Not Call List Registry Check allows your company to quickly and easily import government Do Not Call Lists as well as your company's own lists. You can then search for phone numbers individually, or scrub your contact lists of Do Not Call numbers. There are other Do Not Call software packages besides ours, though we are confident that our package is the easiest to use and has the most useful features. We invite our potential customers to try our competitor's products. We're confident that you'll choose Do Not Call List Registry Check. The FTC's (American) and CRTC (Canadian) Do Not Call Lists must be updated every 30 days. If your company falls under the umbrella of companies that must comply with the Do Not Call law. If your company is not registered with the Do Not Call Registry, it can be fined for any call made to customers, whether they are on the list or not. If your company is registered, it can be fined for any call made to customers that are on the Do Not Call list. Fines can be up to $40,654 per violation. any call made in violation of the do not call rules was the result of an error. A Do Not Call software package, like Do Not Call List Registry Check, with updated Do Not Call Lists, can play a major role in helping keep your company protected by the "Safe Harbor Clause."